Davis A. Romney, MD joined Ironwood Cancer and Research Centers in December of 2013 after serving as the director of the East Valley Center of Arizona Oncology Services in Mesa for the last 4 years. 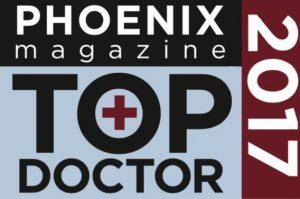 An Arizona native, Dr. Romney completed his undergraduate studies at the University of Arizona and attended medical school at the University of Virginia School of Medicine in Charlottesville, VA. He is trained and experienced in 3-D conformal radiation therapy, IMRT, IGRT, SBRT, TomoTherapy, GammaKnife, and I131 thyroid ablation, as well as LDR and HDR brachytherapy, including prostate seed implants and breast brachytherapy. Dr. Romney is board certified in Radiation Oncology by the American Board of Radiology. He has been married to his wife, Tanja, for 19 years and they have 5 children ages 18 to 9. In his free time, Dr. Romney enjoys spending time with his family, playing softball, and volunteering with his son’s Boy Scout troop. Dr. Romney sees patients for Radiation Oncology at our Gilbert and Mesa (Arbor) locations.